Maryland became the seventh state in the United States by ratifying the Constitution in 1788. Maryland ranks 42nd in size and 19th in population. Annapolis is the state capital, and the state’s nicknames include Old Line State and Free State. It is famous for crab cakes and its Chesapeake Bay Bridge. Children could visit a website at: Maryland. They could find out how Maryland, Baltimore, and Annapolis got their names. Bounty’s crew mutinied in 1789. Captain Bligh was attempting to transport breadfruit plants from Tahiti to the West Indies when the crew mutinied. 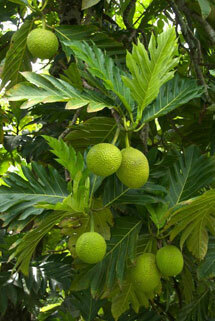 Children could read a concise but interesting account at: Bounty Mutiny. Yellow fever vaccine was reported in 1932. Max Theiler, an employee of the Rockefeller Foundation, labored to find the vaccine that gave ten years of immunity to the disease. Lois Duncan (born Philadelphia, Pennsylvania, 1934; died Bradenton, Florida, June 15, 2016) wrote suspense novels for young adults. Her books include I Know What You Did Last Summer and Hotel for Dogs. She received the 1992 Margaret A. Edwards Award for lifetime achievement. Children can learn more at: Lois Duncan. Amy Hest (born New York, New York, 1950) writes books for children. Her works include When Jessica Came across the Sea and Kiss Good Night. Children can visit her website at: Amy Hest. 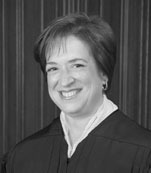 Elena Kagan (born New York, New York, 1960) became an Associate Justice of the Supreme Court on August 7, 2010. Prior to her Supreme Court appointment, she was the country’s first woman Solicitor General. Harper Lee (born Monroeville, Alabama, 1926; died Monroeville, Alabama, February 19, 2016) was a novelist. She is best known for To Kill a Mockingbird. The book received the 1961 Pulitzer Prize for Literature. She also wrote Go Set a Watchman, published in 2015. 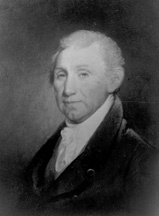 James Monroe (born Westmoreland County, Virginia, 1758; died New York, New York, July 4, 1831) was the fifth president (1817-1825) of the United States. He established the Monroe Doctrine, and he acquired Florida from Spain. Children can visit a website at: James Monroe. Idea: Children could find out which capital city of an African country was named in honor of him. Sir Terence David John “Terry” Pratchett (born Beaconsfield, United Kingdom, 1948; died Broad Chalke, United Kingdom, March 12, 2015 ) wrote fantasy books. His books include Pyramids and Night Watch. He received the 2011 Margaret A. Edwards Award for his body of works. Marvin Terban (born Chelsea, Massachusetts, 1940) writes wordplay books for children. His books include Your Foot’s on My Feet: And Other Tricky Nouns and Time to Rhyme. Children can view a video about him at: http://www.youtube.com/watch?v=5C7NF0FN5yw.